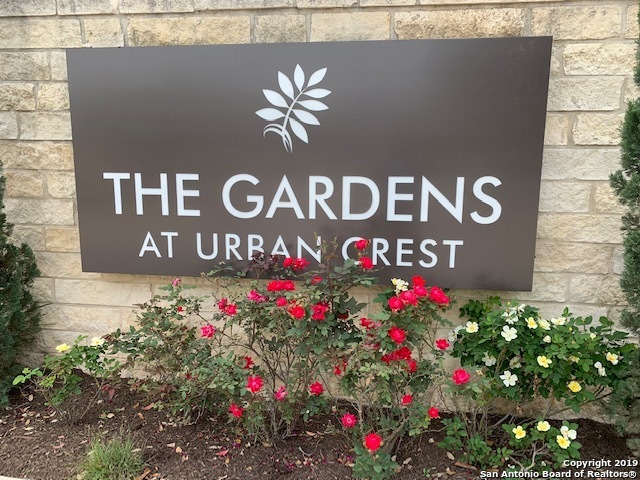 All THE GARDENS AT URBAN CRES homes currently listed for sale in San Antonio as of 04/22/2019 are shown below. You can change the search criteria at any time by pressing the 'Change Search' button below. "AVAILABLE MAY 2019. The Crockett by David Weekley Homes is where modern luxury and timeless elegance meet in the highly coveted neighborhood of The Gardens at Urban Crest. The first floor features a two car garage and an over-sized guest suite with walk in closet. Wooden stairs lead you to the grand second floor with a 20' ceiling over the dining space that opens to the gourmet kitchen and family area. A secondary bedroom and full bath are also on this level. Owner's Retreat and loft"
"Urban Living at its BEST! Lock & Leave Lifestyle awaits you at The Gardens at Urban Crest! Three-Story Contemporary Design offers a unique floor plan featuring a First-floor Guest Suite with access to private back patio, Second-floor Kitchen & Living Area with Open floor plan and tons of natural light plus secondary guest bedroom & Lastly, the Third-floor is home to the Owner's Master Retreat feat. Three Closets, Spacious Bath, and a Private Loft Space! Short Drive to Fort Sam Houston!!" 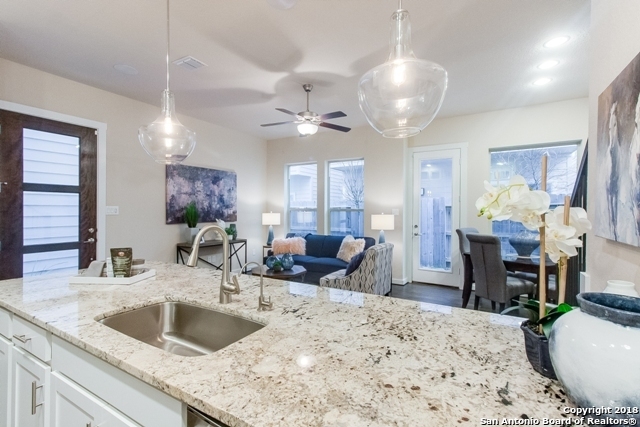 "AVALIABLE MAY This 3 bedroom, 3.5 bath Dawson by David Weekley Homes is located in the heart of San Antonio in the much desired 78209 zip code. 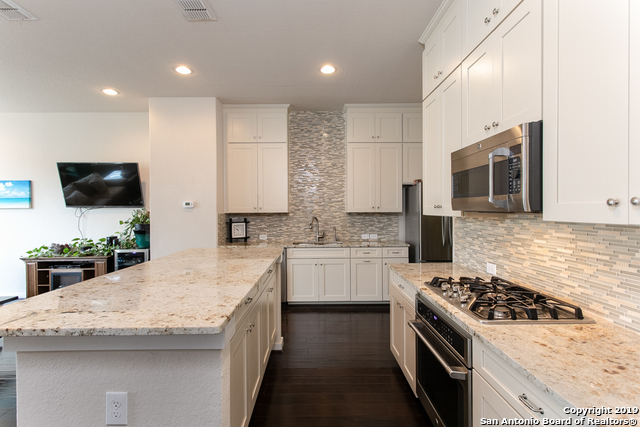 Entertain in the ample living space, gourmet kitchen, and dining area on the second floor with 10 foot ceilings and gorgeous wood flooring that open onto a balcony overlooking the community. The first floor has a guest suite with large walk in closet and two car garage. The third floor is home to the Owner's Retreat as well as a secondary bedroom"
"Beautiful 3 story Urban Home ready for move-in! 3 bedroom 3 baths over 2300 sqft. Wood flooring throughout , no carpet, high ceilings, and great natural lighting! 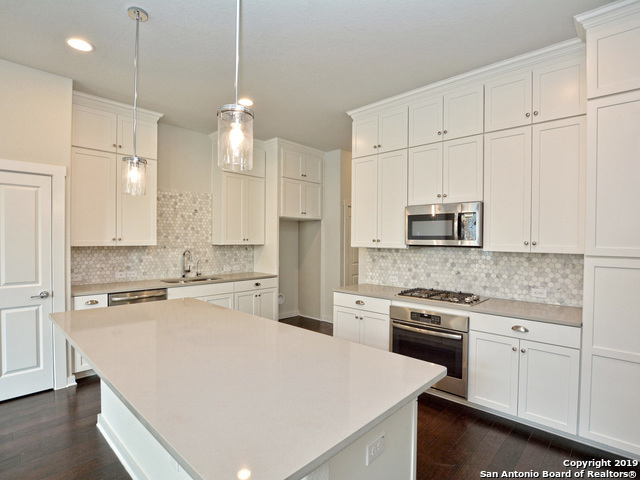 Stunning kitchen with upgraded backsplash, granite countertops, and large island. Spacious master bedroom and master bath with walk-in closet on third level with loft area. All bathrooms have granite counter tops and designer tile touches. 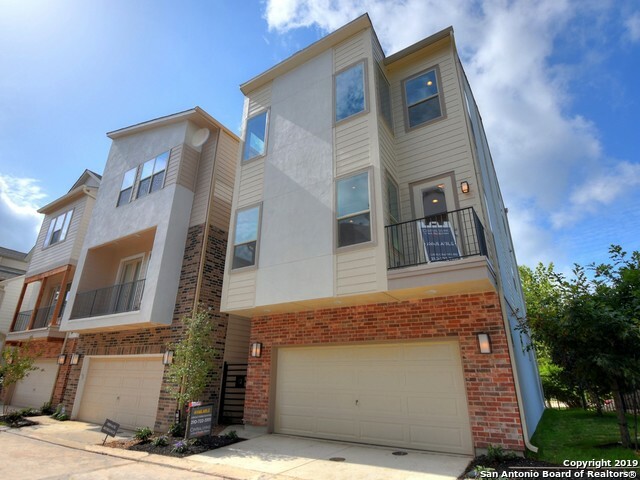 Great location and nestled next to Terrill Hills and Alamo Heights." "The Aransas by David Weekley Homes is where modern luxury and timeless elegance meet in the highly coveted neighborhood of The Gardens at Urban Crest, located in the desired 78209 zip code. The first floor features a two car garage and an oversized guest suite with walk in closet and access to your private green space. Take the wood stairs up to the second floor where you will discover a very open floor plan in your gourmet kitchen, living & dining room." "CHIC 2017 FORMER BUILDER MODEL * NEVER LIVED IN * Gardens of Urban Crest *78209* LEVEL 7 granite & WOOD FLOORS THROUGHOUT BOTH STORIES. Enjoy 10 ft ceilings, recessed lighting, white ceiling-height cabinets, & many more design elements. Upgraded gas cook top, stainless steel refrigerator, & a huge island w/ over-sized drop lights. Floor-to-ceiling, jewel accented, tile surround in master. Granite continued to bath counter tops. Truly central. Minutes to SA Intl Airport. Weekly HOA lawn maint "